This is quite an odd movie. How do you manage to have the coolest looking and sounding movie of the year, and still be very dull? Despite having me thoroughly impressed in certain scenes (particularly the action parts), the movie still failed to have me interested overall. I’d say that’s a pretty big miss-step. There are 2 obvious reasons to see this movie: The incredibly expensive and exhaustive use of special effects, and the score by the techno group Daft Punk. The combination of these two parts did make a wonderful atmosphere and tone to the movie, which helped to create a wonderfully designed ‘computer-world.’ The setting manages to be imaginative and bleak at the same time while never being too flashy. Nicely toned down from the original 1982 Tron. 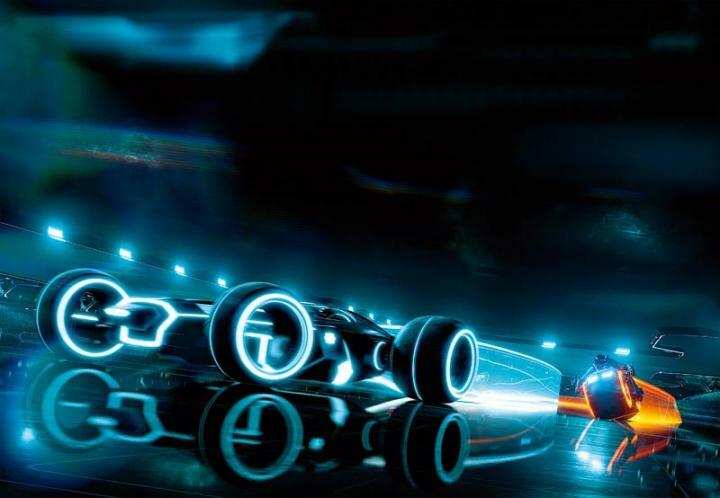 There were other great technical touches throughout Tron: Legacy that helped. They had Jeff Bridges play his younger self (from the original movie) as well as his present, older self in the film. The computer rendering they did to his face was stunning and was used very effectively. 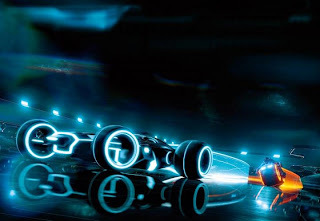 Also, the choice to have the movie only be 3D once we enter the Tron-world was a neat touch. My main issue with the movie was that is was cold and lifeless. That’s a harsh statement, but that’s what happens when you throw the plot and characters out of the way in favour of the special effects. Whenever there wasn’t an action scene or some cool scenery to look at, the movie felt dull. Being one of the most expensive movies made, you’d think someone would have paid to have a good script. Whenever the main character did something to move the plot, there was often no logic behind his reasoning. Characters were just performing actions with no plan at all. Not to mention the plot followed the exact same as the original (granted, it’s a remake or sorts), but you’d think after 25 years, we could add more to it; especially since the first was not very popular to begin with. Although they did add in some new stuff about some sort of thing about something like ‘BioDigitalHumanoids’...Oh, I don’t care. Just put on a Daft Punk cd at home and watch your iTunes visualizer for a similar experience to the movie.